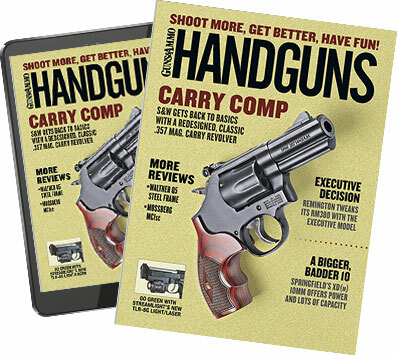 An ambitious, innovative new effort to recruit handgun shooters. A new effort from the Steel Challenge Shooting Association aims to get more youths involved in pistol competition. Taking a page from the success of NSSF's Scholastic Clay Target Program, the Steel Challenge Shooting Association has developed a new effort to attract young people to competitive handgun shooting: the Scholastic Steel Challenge. SSC provides young people ages 12 through 20 the chance to participate in steel-plate competition, the format for which is based on the Steel Challenge. The program recently held its first event, a demonstration shoot in Tennessee that drew more than 400 young shooters. "The response to the SSC was tremendous, and this first event was a huge success, confirming that America's young adults are eager for the opportunity to compete in the sport of speed shooting," says Scott Moore, SSC's director. Moore previously worked for NSSF and developed that organization's hugely popular Scholastic Clay Target Program. "His projections are that this program will surpass SCTP in terms of participation," SSC's Dave Thomas told Handguns. And that's no small aim, considering that SCTP grew from 700 competitors eight years ago to more than 10,000 today. SSC has come up with an innovative approach to building its program. Thomas walked us through the process of putting a team together, all the information for which is found at the SSC website (scholasticsteelchal lenge.com). Basically, to form a team—which can comprise any number of four-shooter squads—all you need are participants and an instructor certified by either the NRA or the National Range Officers Institute (nroi.org). Clubs and ranges that host teams must be members of Steel Challenge Shooting Association; shooters have to join the association as well. In addition to providing support for coaches, clubs and competitors, SSC furnishes a scoring program. Scores are uploaded to the Steel Challenge website, allowing teams and individuals across the country—and, eventually, the world—to compete against each other in what amounts to one huge, electronic postal match. Competition is offered in two divisions: Junior for 12- to 16-year-olds and Senior for 17- to 20-year-olds. Beginning in 2010, the top Junior and Senior squads will earn free entry fees to the Steel Challenge in California. A number of key industry players were quick to realize what a program such as SSC could mean for the future of the shooting sports—particularly handgun competition, which has long suffered from a relative lack of grass roots youth development. The NSSF, for example, contributed $50,000 to help kick-start the initiative. "Developing new target shooters through programs that teach safe and responsible handling of firearms is a priority of the National Shooting Sports Foundation," says NSSF president Steve Sanetti. "And we're proud to help a program get off the ground that holds so much potential for introducing new shooters to a lifetime sport." Handgun makers were quick to get on board as well. Smith & Wesson has committed to donating 30 M&P pistols, valued at more than $20,000. Glock has donated 60 pistols—models 17 and 19, with four magazines each, valued at nearly $42,000—to help new teams get their start. Both companies will also offer special pricing on guns for SSC teams. Action Target has signed on to become the SSC's official target supplier, with special discounted target packages for teams and participating ranges, and outdoor news service Outdoor Wire is donating $36,000 in advertising. "I've been around shooting a long time, and this is the single most exciting thing I've worked on in my life," says Thomas. We here at Handguns second that. For more information, visit the SSC website and click on the "Teams" tab in the lower right corner.